New York City has stated that they plan to add 70 miles of new bike lanes & bike routes to the city’s bicycle network in 2007. So far new bike lanes have recently been striped on Manhattan’s W 91st St, W 90th St, W 77th St, W 78th S, Madison St & Grand St. 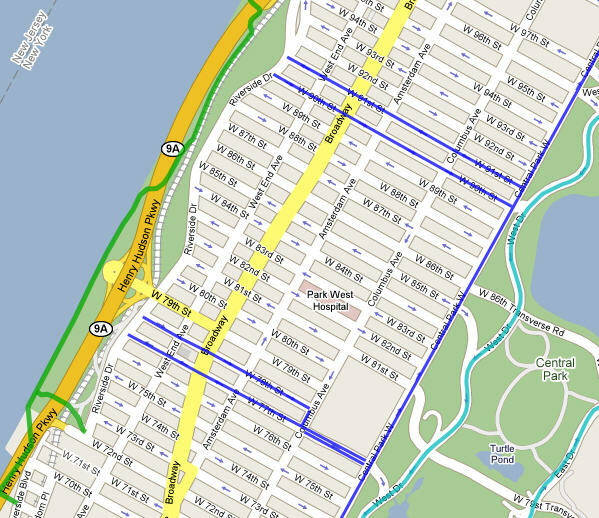 The new bike lanes on the Upperwest Side provide a connection between the West Side Greenway & Central Park.